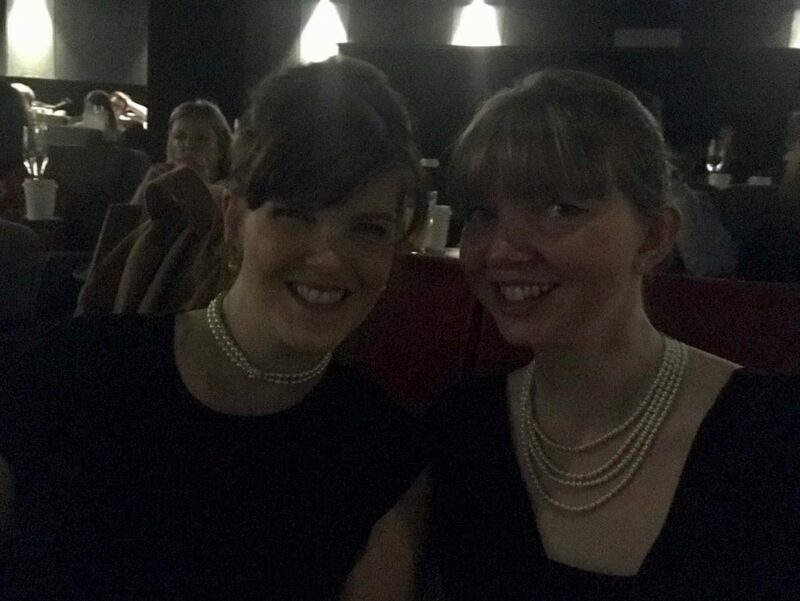 I spotted on Leeds-List that the Everyman Cinema in Trinity Leeds was showing the Audrey Hepburn classic Breakfast at Tiffany’s with a bottomless brunch and entertainment beforehand. Knowing that my friend Sam is a massive fan of the film (her wedding was even themed around it) I immediately sent her the link and asked if she fancied going. 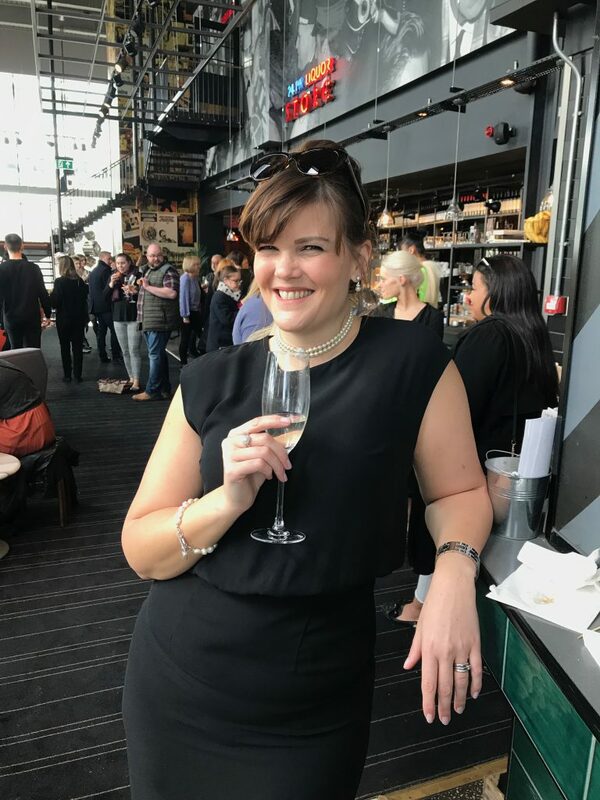 At £25 per person, I was a little dubious that we’d be getting our money’s worth, but the whole event was really good, and the Everyman didn’t scrimp on food or Prosecco. 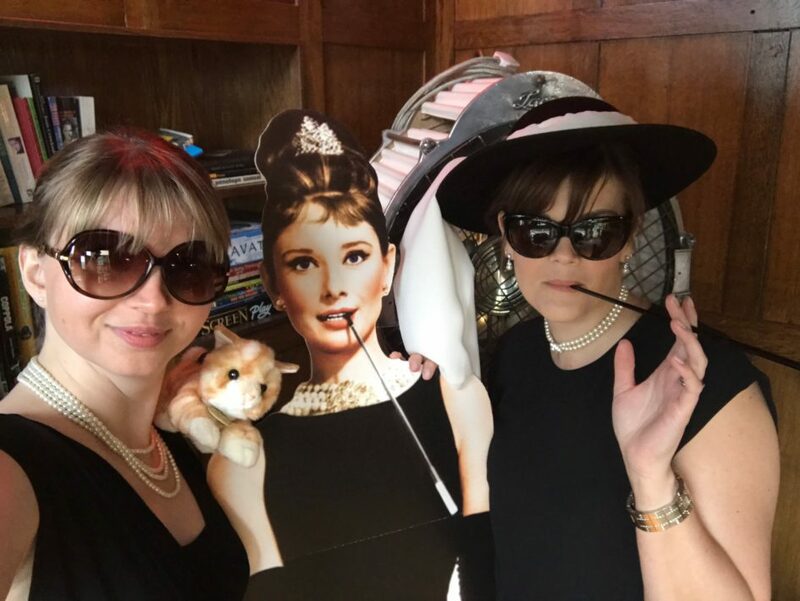 As costumes were encouraged, Sam and I donned our black dresses and pearls, and piled up our hair. We arrived at the cinema and made our way up to the bar area where an ensemble from Leeds College of Music was playing the film score. Waiting staff brought out trays of pastries, avocado on toast, eggy somethings (I don’t know what they were but they were nice) and bacon sliders. We were a little disappointed not to get a table (how come there were so many people there before us??) but it actually ended up being a good thing as it meant we were very well placed and first in line to get the food and the free-flowing Prosecco as it came by. After an hour of chatting away, listening to the music and grabbing mini-food, we were ushered into the theatre. For those of you who haven’t been to the Everyman before, it’s a small, intimate cinema with comfy sofas instead of the usual cinema recliners. You can take food and drink from the bar in with you, and there’s even a wine holder between seats. I’ve only seen Breakfast at Tiffany’s once, and had forgotten how funny it is and what a class act Audrey Hepburn was. How she managed to glide rather than walk, I do not know. 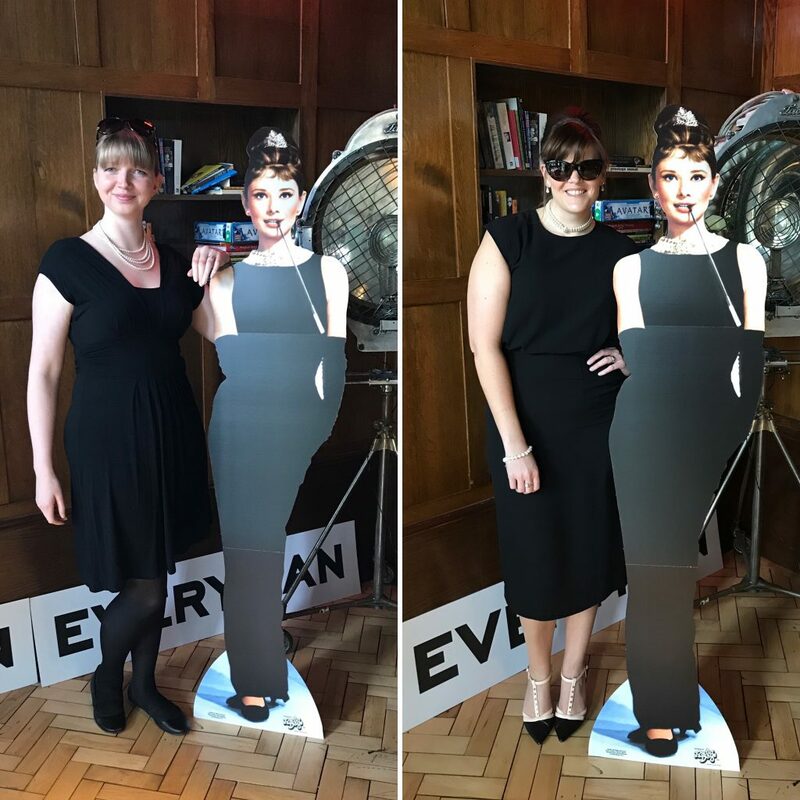 After the film, Sam and I made sure we took some photos with the Audrey cut-out and props. I love that they even had a Cat!